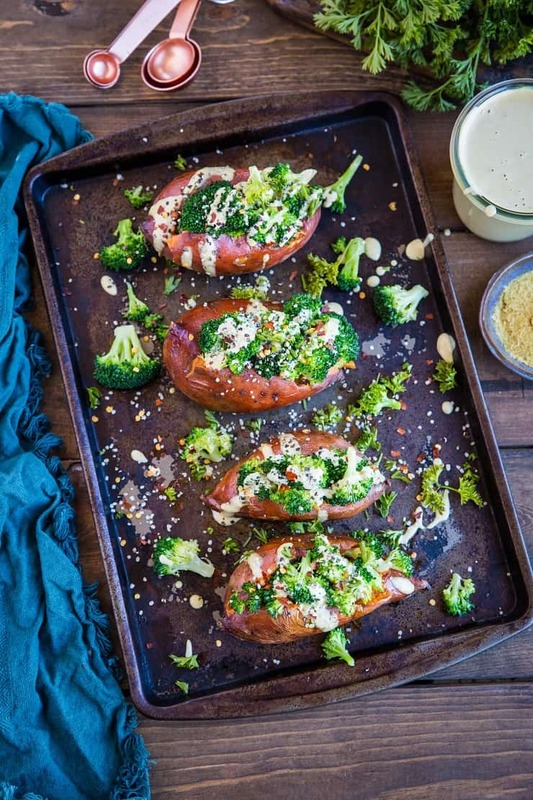 These broccoli cheddar stuffed sweet potatoes include a simple dairy-free vegan “cheese” sauce for a nutritious vegan side dish (or meal!). 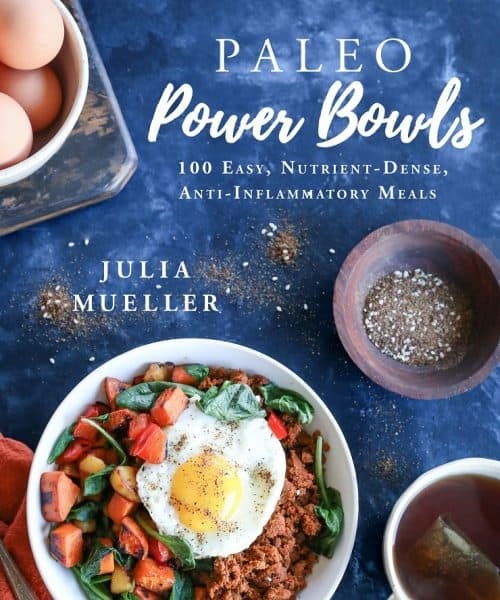 This clean and simple recipe is perfect for those who follow a vegan, vegetarian, paleo, or whole food diet. Have we discussed my adoration for stuffed vegetables? I find them to be so cozy, cute, and convenient. 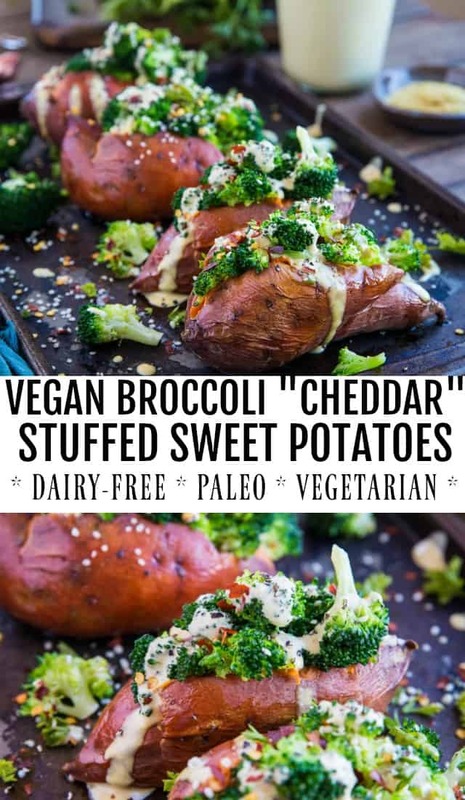 There’s something about a stuffed potato, pepper, or squash that warms my heart in an unspeakable way, and of course, these vegan broccoli cheddar stuffed sweet potatoes are no exception. 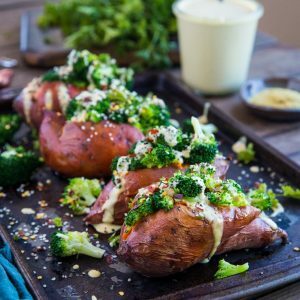 These simple stuffed sweet potatoes are comprised of three basic components: Roasted sweet potatoes, sauteed broccoli, and the Vegan “Cheese” Sauce I posted on Monday. That cheese sauce is what makes this whole thing sing. How do we make the sauce taste “cheesy” sans dairy? Nutritional Yeast! Have you tried nutritional yeast yet? 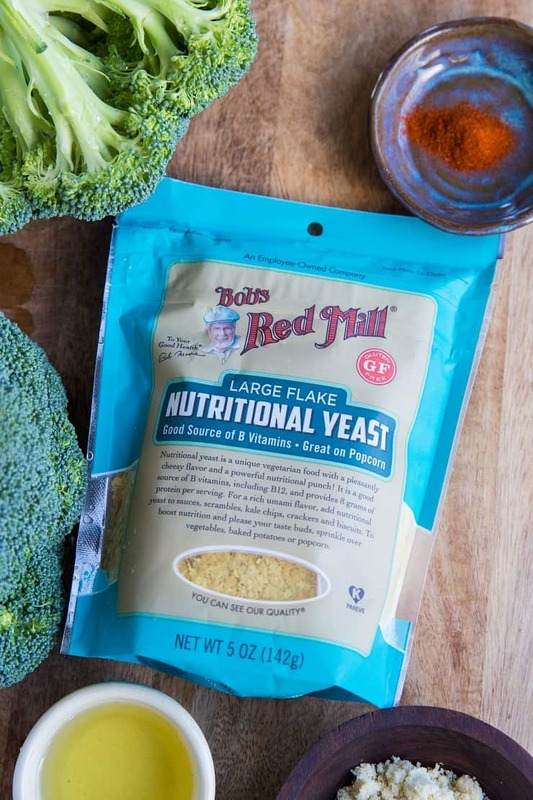 I’ve spoken at you about it on numerous occasions, but in case you’re new to it, here’s the scoop: use Bob’s Red Mill Nutritional Yeast anytime I’m aiming for a cheesy flavor but want to skip the cheese. The Low-FODMAP Pesto Sauce I posted recently, Paleo Sour Cream and Onion Dip, that Vegan Broccoli “Cheddar” Soup I posted last winter, the Roasted Sweet Potato, Cauliflower, Chickpea and Green Bean Buddha Bowls with Cashew Cream Sauce from a few falls ago, Nacho Cheese Kale Chips I whipped up three years ago are all made dairy-free and cheesy with nutritional yeast. As you can see, it’s just so versatile! 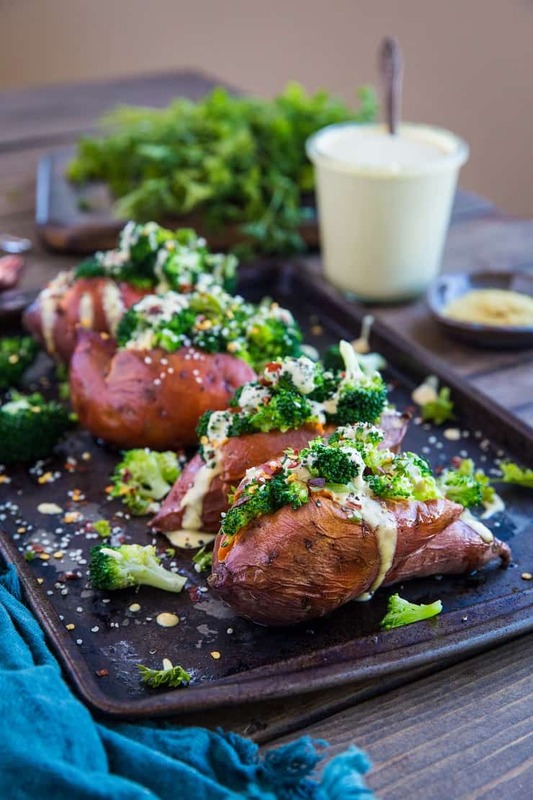 These stuffed beauties can be your gateway to a filling, nourishing, tasty meal with plenty of options to change them up or customize them for each person you’re serving. This is a clean and delicious side dish can be made into a main entree by adding rotisserie chicken or chickpeas or black beans. Simply choose your favorite protein, add it on up, and enjoy! Use your favorite type of potato – I like jewel or purple yams, myself. Swap the broccoli for cauliflower if that’s your jam. Do you do the dairies? Feel free to add your favorite grated cheese. Spice it up with hot sauce or green onion. For my meal prepping friends who enjoy making recipes ahead of time, here are some preparation options. Roast the sweet potatoes up to 4 days ahead of time. Saute (or roast) the broccoli up to 2 days ahead of time. Make the vegan cheese sauce up to 10 days in advance. Place cashews in bowl and cover with 2 inches of water. Soak 3 hours or overnight. Drain cashews. Add all ingredients, including soaked cashews, to a high-powered blender. Blend on high for 1 minute or until sauce is completely smooth. Taste for flavor and add more sea salt, cider vinegar, or 1/2 tsp garlic powder. Either use immediately or store in an air-tight container in the refrigerator. The sauce stays fresh for up to 10 days. Note: Sauce will thicken in the refrigerator, so stir well before using. Preheat oven to 400 degrees F. Wash and dry the sweet potatoes and poke several times with a fork. 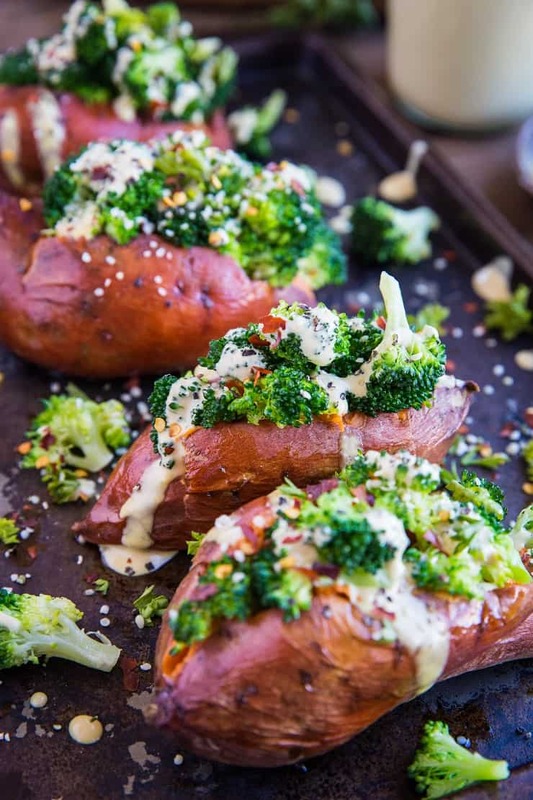 Wrap in foil and roast 50 to 70 minutes, until sweet potatoes are very tender. 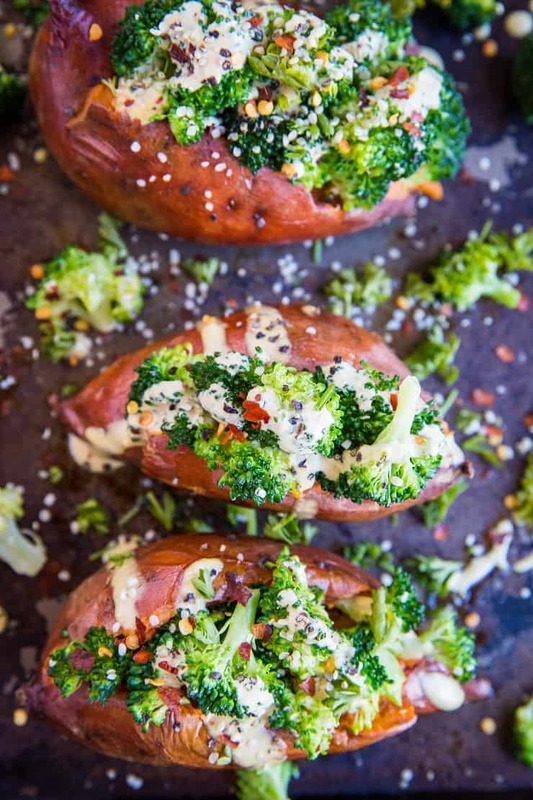 When the sweet potatoes have about 10 minutes left of roast time, prepare the sauteed broccoli (note: you can also roast the broccoli). Heat the avocado oil in a large skillet or wok over medium heat. Add the broccoli florets and stir well. Cover and cook until broccoli turns bright green, about 2 to 3 minutes. Sprinkle on the nutritional yeast, paprika, and sea salt, and continue cooking until broccoli has reached desired doneness. Once potataoes have finished roasting and are cool enough to handle, slice them open lengthwise. Spoon in several tablespoons of Vegan "Cheese" Sauce, then stuff with sauteed broccoli. Drizzle with additional "cheese" sauce and sprinkle with hemp seeds, red pepper flakes, and fresh parsley. Can you substitute almond milk for the cashew milk? 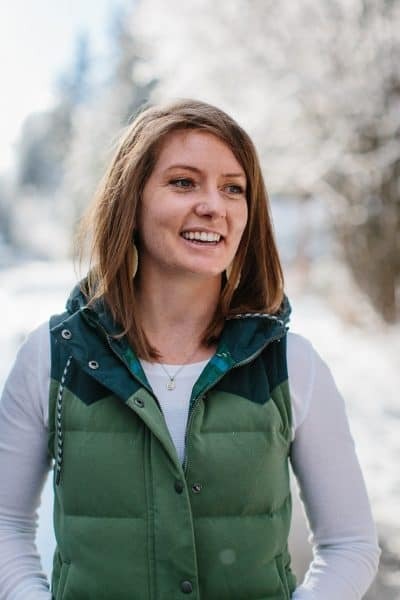 I saw your Vegan Cheese Sauce recipe earlier this week and had already bookmarked it to make the second I got home from a work trip but didn’t know what I would use it for… then this delicious recipe arrived in my inbox. I made this tonight with garnet yams and am noshing as I type. Wow… just wow. Thanks for a supremely easy, richly flavored, and healthy meal. This will be made over and over and over again. And the possibilities are endless! I added hot sauce (sriracha) drizzle and tofu to mine to make it a full meal. YUM!